The ethical rules stated in the Bible are all applicable to today, because the God who gave them does not change. It is our responsibility to bring into expression as many of the biblical rules as possible, even if this requires restructuring society to do so. Old Testament theonomists believe in the abiding validity of the Old Testament civil law. The ideal state would uphold Old Testament civil law "in exhaustive detail." They argue therefore that these laws should be followed today as strictly as possible. When this is not possible, the ethical principle undergirding the specific law ("case law") should be identified and a new case law as should be implemented. Many Fundamentalists argue eclectically from both testaments. The stage of God's salvation program has changed. The Old Testament theocracy does not apply to the church. Much Old Testament case law pertains to worship centered around the Tabernacle. Since this system of worship is now obsolete, the case laws pertaining to them are also obsolete. God was involved in the execution of Old Testament civil law in a direct and supernatural way. Since he is no longer involved in civil law in the same way, the case laws which depend upon this kind of involvement would be invalid. 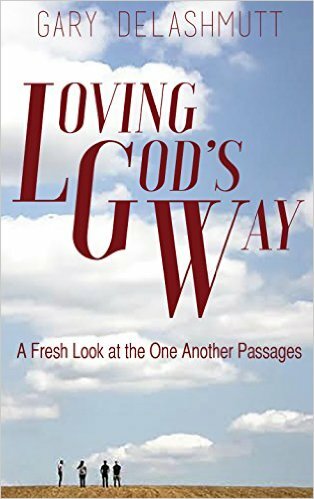 God's way of morally leading his people has changed. Because of the provision of the Holy Spirit, he no longer deals with them in the same way (Jer. 31:31-34). The level of moral laxness (i.e. polygamy) and even brutality (i.e. forced labor from conquered tribes) permitted in the Old Testament law is no longer permitted because we have greater moral empowering (see I Tim. 3:2). The whole impersonal, nomistic approach which was appropriate under the Mosaic Covenant has been replaced by the personal leadership of the Holy Spirit (Gal. 3:19-4:7). Christian nomism promotes a preoccupation with rules and uncomprehending obedience, both of which are counterproductive to the spiritual maturity described in the New Testament. Culture has changed drastically since the Old Testament time. Old Testament case law was devised for a historical and geo-political situation which no longer exists. For example, the Law commanded that the Israelites build fences on their roofs (Deut. 22:8) so that people who were cooling themselves on the roof would not fall off. Many modern situations are not addressed by Old Testament case law (i.e. medical ethical situations). In many cases, it is hermeneutically impossible to discover the ethical principle upon which a "case law" was based. In these situations, it is impossible to know how to apply these case laws to today. As a reaction against nomism, situationalism argues that every situation is different. Therefore, absolute rules are inappropriate because they are too inflexible. The only ethical "rule" is to love, which Christ said was the greatest commandment. Love alone, because it has its own moral compass, can be trusted to know what to do in any situation. The Bible may give us a record of what loving decisions looked like in concrete situations, but those decisions are not binding. Joseph Fletcher's Situational Ethics (Philadelphia: Westminster Press, 1966) is the most complete presentation of this view. Some form of situationalism is usually held by liberal ministers and theologians. Situationalism's definition of love is unbiblical. Biblical love by definition has moral content. The God who is loving is also morally righteous. Therefore, any conception of love that does not involve absolute moral content is profoundly unbiblical. Situationalism is excessively subjective. "Love" used in this way does not automatically know what to do. It may get us close to the person and give us the motivation to meet his/her needs. But without objective truth, it cannot distinguish wants from needs, or know how to meet those needs. This is why situationalism is essentially moral relativism. Situationalism overlooks the important distinction between "right attitude" and "right action." While the Bible emphasizes the importance of having the right (loving) attitude, it also emphasizes the importance of right actions. God still condemns wrong actions even when they are done with the right attitude (see for example II Sam. 6:3-7). Principlized ethics is a middle ground between nomism and situationalism. It looks both to scripture and natural law for general ethical rules and values. Natural law refers to ethical knowledge that is available to man apart from special revelation (see Rom. 1:26-28,32; 2:14,15). Equality and justice would be the main ethical principles distilled from natural law. It sees natural law as the basis of ethics in society. It looks to what the Bible addresses to all mankind and what God emphasizes throughout the Bible for additional ethical rules and values. It sees these biblical principles as the norm for the church. Regarding Old Testament case laws, the burden would be on the one holding that were still binding. These laws are not seen as normative unless they can be demonstrated to be universal, or repeated in the New Testament to Christians. Principlized ethics emphasizes our role in the reconciliation and application of these ethical rules and values. It avoids a nomistic approach by emphasizing the importance of love and the leadership of the Holy Spirit. It also recognizes the legitimacy of a hierarchy of ethical rules which helps to deal with ethical dilemmas. It also avoids a pure situationalism by insisting that, while New Testament case laws are not necessarily normative, we should be inclined to follow them unless there is good reason not to (i.e. this would contradict another more important ethical principle).